No long haul flights needed for this adventure, simply book a flight into the world renowned gem that is Istanbul. Stay and discover this beautiful city including the stunning Sultan Ahmed Mosque, often referred to as ‘The Blue Mosque’, and the bustling and lively Grand Bazaar. Our itinerary takes in the resorts of Uludag national park – a boat ride from Istanbul, then flying on to the eastern ski areas of Palandoken, Konakli and Sarikamis, all small resorts but giving us access to untouched off piste skiing up to a height of 3125m. Turkey also has the added bonus of being one of the few countries where your money will buy much more locally than European ski resorts, making this a great value adventure. *For the return leg on 7 March we will be landing in Istanbul at 1510 on our return flight from Erzurum, so please allow enough time to collect baggage and check in for your return flight to the UK. All accommodation is on request and can not be confirmed until minimum numbers have paid deposits for this Adventure. In the event that we are unable to confirm the specified accommodation we will request alternatives. Please DO NOT book international flights until advised the trip is confirmed. Fly from the UK to Istanbul Ataturk airport (international flights are not included in the total cost), transfer to the hotel Avicenna. Our accommodation is centrally based in the Sultanhamet disctrict – perfect to take in the amazing sights of Istanbul with dinner in one of the fabulous local restaurants. Transfer after breakfast to Uludag by ferry, our first ski resort, with a chance to ski this afternoon. We will be spending 3 nights in the Beceren Otel on a full board basis. 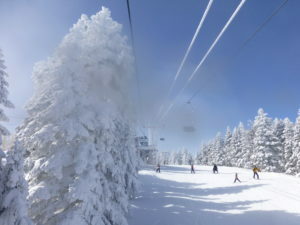 The most popular ski resort in Turkey, based in a beautiful national park and just a few hours from Istanbul, with 22 ski lifts it offers some amazing off piste bowls to discover both from the lifts and with skins. After breakfast we transfer back to Istanbul for our flight to Kars as we head east, arriving around 2pm so there may be a chance to ski, or alternatively settle into our accommodation for 3 nights in the Snowflake Otel, full board. We discovered this unknown gem of a resort on our last Turkish Adventure and are happy to be able to stay here, just 4 lifts but fantastic snow and off piste skiing, fresh lines to be enjoyed by all! After breakfast we transfer to Palandoken for 4 nights in the Palan Otel, again with a chance to ski in the afternoon or settle into our accommodation, full board. The hotel has its own Turkish Hammam and sauna to revive those aching muscles at the end of the day. 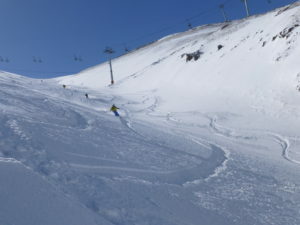 Another two resorts undiscovered by mainstream tourism; 13 lifts and a resort altitude from 2200m to over 3000m, untouched off piste conditions (all the locals ski on piste), welcome to skiing in eastern Turkey, perfect powder and the amazing feeling of skiing where nobody has been before. Prepare to be a local celebrity!